Our country faces a serious issue with taking care of the men and women who dedicated their lives to serving our country. According to The U.S. Department of Veterans Affairs (VA) about 1.4 million veterans are considered at risk of homelessness. The Homes for Heroes Michiana team is helping homeless heroes by taking it upon themselves to make a change for homeless veterans in their community. 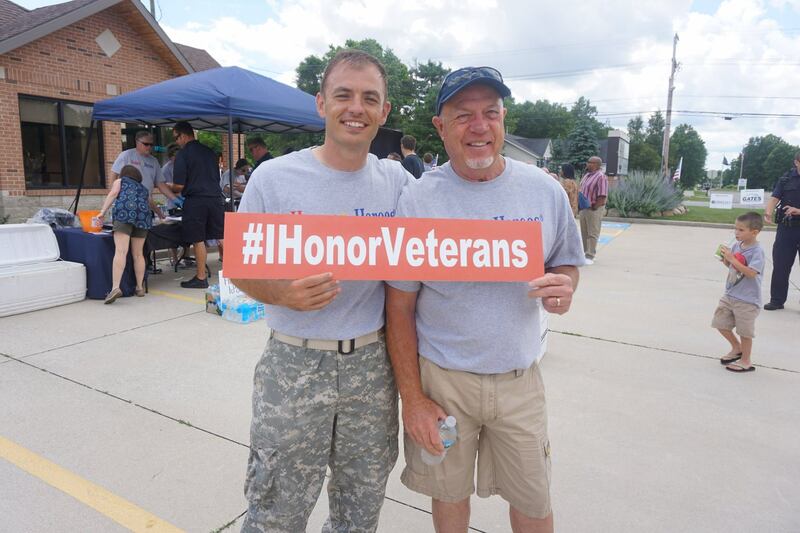 Homes for Heroes affiliates in Michiana hosted the fifth annual Helping Homeless Heroes event on Saturday, June 24th. Helping Homeless Heroes is a fundraising event that brings the community together to raise money for local veterans that are homeless. “There is a wave of new veterans that are on the verge of homelessness and we want to step in and help those on the breaking point” said Jim McKinnies, Homes for Heroes affiliate and event organizer. McKinnies added that helping local veterans that are homeless was very important to them. The local firefighter, law enforcement and military community partnered up with the Michiana team to show their support for these veterans. The event also drew 11 sponsors from local vendors to provide a hog roast, ice cream, jump house and balloons for attendees. Even Emit the Eagle made an appearance to entertain attendees. The money raised went to support the Robert L. Miller Veteran Center. The Miller Veteran Center provides 24 beds to veterans that are homeless. The facility also provides support and resources for veterans that face PTSD and addiction issues. According to their site, the Robert L. Miller Veteran Center has providing 254 homeless veterans a place to reside as of September 30, 2016. Check out ABC57.com’s news article, or check out the Homes for Heroes Michiana Facebook page for more on this story.